In particular, the report drew attention to the lack of powers to deal with land transfer, the problems with enforcing lorry routeing agreements and green travel plans, the absence of powers to pay money to third parties such as community councils (and absence of power of such councils to enforce payment) and the problem where the council is both planning authority and landowner – can it contract with itself? There are other serious issues such as releasing landowners from liability and the time which must elapse before s.106B can be used. They need to be addressed by legislation. 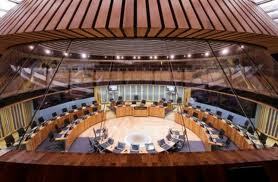 So I am also encouraged that the Welsh Assembly debate on the report, while not looking at the s.106 problem specifically, welcomed the report. My hope is that DCLG and the English Government now pick up these issues and address them. Through the Law Society, they have been drawn to the attention of DCLG and its predecessor departments for over a decade. This really is something which makes the negotiation of s.106 agreements and therefore the grant of planning permission slower and more expensive. George Osborne often criticises the system for just that sort of problem. He is currently sponsoring a planning related bill through Parliament, the Infrastructure and Financial Assistance Bill. His colleague, Vince Cable, is sponsoring the Enterprise and Regulatory Reform Bill. I do hope that space and time can be found in one bill or the other to put right these problems. This is a link to the Welsh report. The parts on s.106 are at pages 95 – 99 (or 112 – 116 when you count every page in Adobe reader). 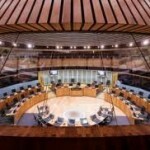 1 comment to Reforming the law on planning agreements – what can we learn from Wales? Are occupancy restrictions enforceable in court? One LPA has obtained opinion confirming my view that they are not and that LPA has acted upon the advice, another LPA has also obtained an opinion saying the same thing yet that authority says it will carry on imposing S106 local occupancy restrictions until it is legally challenged. Is this what local government is for? Creating policies of misery that are often upheld by PINS?